If the name Shazé sounds familiar, it's probably because you've come across it on those fashion mags. The Mumbai fashion hub has come to town and we went for the launch. The venue itself should tip you off how luxe Shazé can be (RNM Galleria's opulence can legit host the Queen!). Every inch of the store is lined with something glamorous, exclusive and premium. It won't be a stretch to wear those sunglasses and head inside because of the dazzling silver and glittering stones. 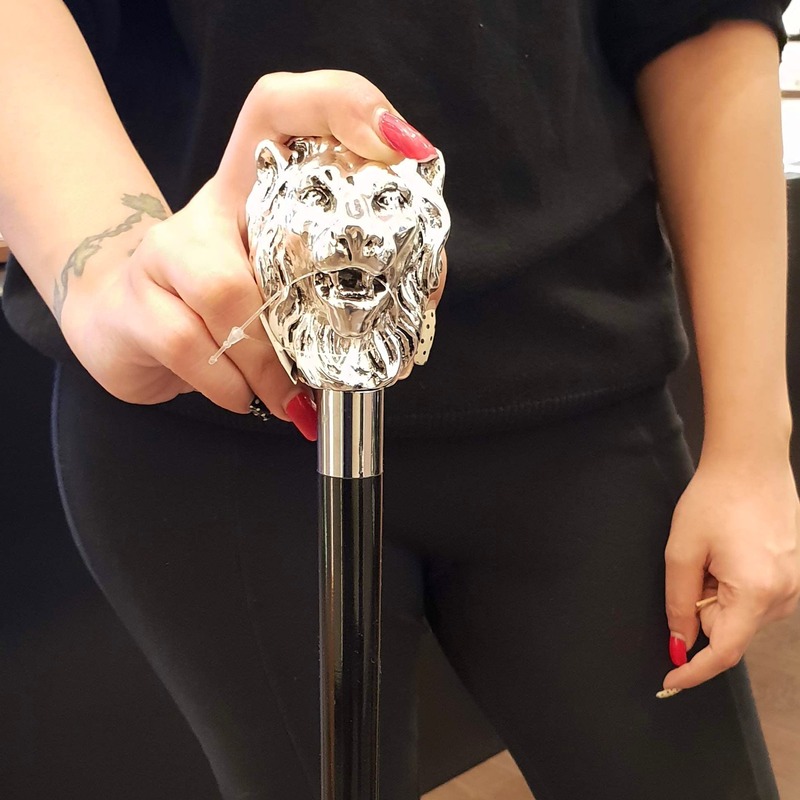 Pick a walking stick with a stunning ornate head (cue in Ranveer's look) or wear their stunning gold plated and ceramic bead jewellery. Looking for something for Dad's birthday or something to gift bae? The quirky cuff links (from beer cans to sports shoes and even little bows) are a sure winner (they're actually affordable and are priced at INR 2,500). If you're an auction house frequenter who's on the lookout for something vintage and exclusive, Shazè is a great place to head to for contemporary and stunningly premium pieces in silver and raisin polish. Silks scarves, cute baby keepsakes and super blingy clutches are also in the house, but be warned - prices start at INR 4,000 for these.